The Dominican Republic and Haiti make up the island of Hispaniola, which is the second largest island in the West Indies, after Cuba. The Dominican Republic is a popular destination as there are several endemics on the island, one of which, the Palm Chat, is in its own unique family. 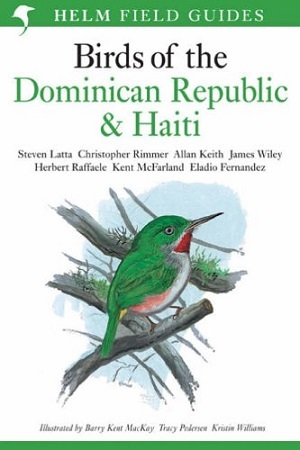 In this book all 302 species known to have occurred on the island are described and illustrated and information on the biology and ecology of the birds is also given. This is the only comprehensive field guide devoted to the birds of Hispaniola, providing new information from the authors' personal research on the biology and ecology of the island's avifauna. This is a valuable addition to the literature of the West Indies.